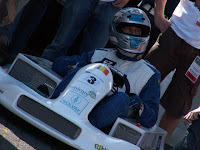 This is the Belgium team Zero Emission, who were a big competition against the Dutch GreenChoice team. 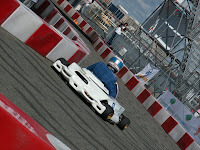 It was bit of a battle same like the Solar race that was held in Australia. 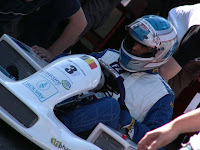 However during the races they had problems with the fuelcells and they also stopped just before the finish. 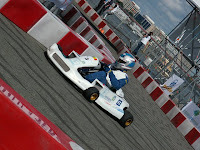 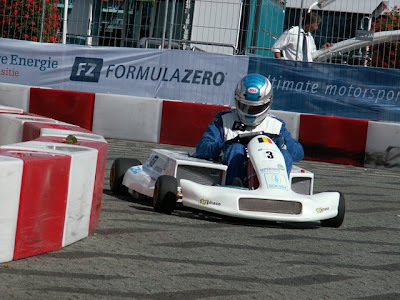 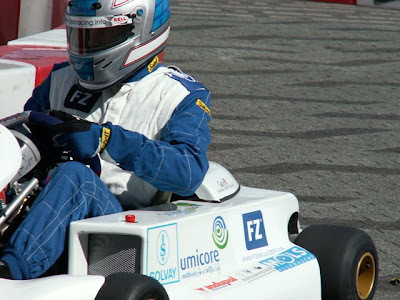 For more information about the Zero Emission team go to FormulaZero.be.